It’s only taken 31 years, but I finally saw a show at the Paper Mill Playhouse. When Kate Baldwin announced at 54 Below that she was starring in their production of Can-Can, I knew I had to go see it. Fortunately, I was able to attend the opening night performance with my pals Patty and Emily, and it was a magnificent experience. The gorgeous venue in Millburn, NJ was warm and inviting, and I hope to make many more visits there from now on. This was also the first time I have ever seen any sort of an out-of-town tryout in a regional setting. Can-Can, a hit in its original Broadway production, features a score by Cole Porter and a revision of Abe Burrows’ book by Joel Fields and David Lee. The plot is wafer-thin, cheeky nonsense about a Fin de Siècle-era romance between an empowered music hall proprietress and the staid, law-obsessed judge trying to shut down her establishment. The original production ran 2 1/2 years thanks to a star-making performance by Gwen Verdon (who stopped the show twice on opening night) and acclaimed choreography by Michael Kidd, both of whom were awarded Tonys. The 1960 film version and various revivals haven’t done as well. (The only Broadway revival to date closed after a weekend run of 5 performances). This new revival, which has been in the works for many years, is being labeled as “Broadway bound” and I’m all for it. There is a lot of fun to be had with Can-Can, which abounds in wit and style, and there is much I loved about it. However, there is work that needs to be done before it transfers to Broadway. Director David Lee sets an appropriate tone, while Patti Columbo gives us some spectacular, eye-popping choreography. However there is still book trouble, even in this revision (which makes a gallant attempt to be as faithful to the original as possible). I speculated afterward that perhaps Can-Can can never recover from second act trouble, but after some thought, I believe there are a couple things that might be able to fix that. Steve Orich’s arrangements and orchestrations are excellent, though I hope the producers consider shelling out for about 5 or 6 more pieces. I have no qualms with the casting. Jason Danieley, with his matinee idol looks and golden voice, makes the uptight judge surprisingly irresistible. Kate Baldwin, luminescent, sings like a dream and is a fetching wonder in Ann Hould-Ward’s period costumes. The delectable Megan Sikora is playing the Gwen Verdon role, yet somehow feels underutilized. As for her character, I wish she made the choice to remain single as neither love interest is worthy of her. It’s been years since I’ve seen Michael Berresse onstage and it’s a joy to see him dancing in a musical again (this time as a lothario/critic). The featured players are all wonderful, especially Michael Kostroff, Mark Price and Justin Robertson. Greg Hildreth is a comic wonder as Boris, but the book writers need to rethink their approach to his character. The apex of Paper Mill’s Can-Can is its title song. The seven minute production number, led by Baldwin and Sikora, features the men and women of the ensemble kicking up a ferocious storm, and builds to a jaw-droppingly sensational climax. (The number stopped the show cold on opening night and I can’t stop thinking about it). However, the song’s placement inadvertently damages the show. While the original version uses the number as a grand finale, this revision puts the song in the middle of the first act. As a result, the show climaxes far too early. Given that the dance itself is a major plot point and the bane of the conflict between the leads, the entire musical needs to build to this song. Other dance numbers, which are quite delightful, are less exciting merely because they are forced to follow it. Putting “Can-Can” back at the end of the show, or better still, as the eleven o’clock number, would elevate the entire production. That said, the powers that be should keep the abortive “Can-Can Supreme” reprise where it is to give the audience a first act tease before the Judge sends everyone to jail. A new number or a restoration of one of the Verdon specialties could be created for this spot; something thrilling to spotlight Sikora’s rise from seamstress to dancer. As for the “Can-Can” mad libs, those are cute but totally unnecessarily. The second act runs about 20 minutes too long and an established group encore of the title song would be a much more exciting way to send the audience out of the theater. (Speaking of the second act, the swashbuckling sword fight also goes on far too long). If the rest of the production can be brought up to the level of its title song, then I can see Can-Can being a potential Broadway hit. 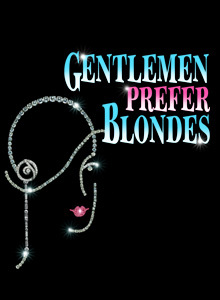 Nevertheless, there is still much to be enjoyed at the Paper Mill Playhouse through October 26.